Les Misérables will end its run at Broadway's Imperial Theatre on September 4th next year after over two-and-a-half years. 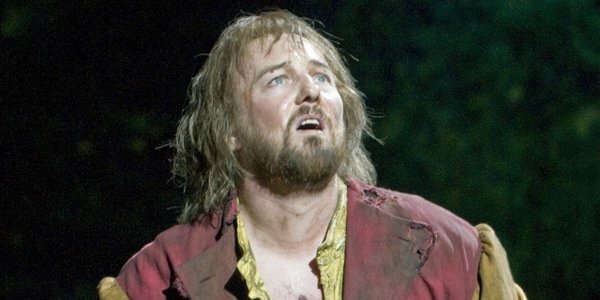 Alfie Boe who leads the current company as Jean Valjean,will play his final performance on February 28th. On March 1st John Owen-Jones (who played the role on Broadway in 2007 and is playing the Phantom of the Opera in London's West End until 30th January ) will take over and perform until the show's closing date. The principal company also includes original 2014 revival cast member Will Swenson as Javert (standing in for an injured for Earl Carpenter), Montego Glover as Fantine, Gavin Lee as Thenardier, Rachel Izen as Madame Thenardier, Brennyn Lark as Eponine, Chris McCarrell as Marius, Alex Finke as Cosette and Wallace Smith as Enjolras. Hayden Tee assumes the role of Javert on January 29th .